The first time I heard about the STFM Emerging Leaders Fellowship was while I was struggling to write a letter of intent for my application for a position with the University of Utah. I was trying to explain why they should invite me to join their faculty group fresh out of residency. I was procrastinating by scrolling through my email and the subject line “Emerging Leaders” struck me as a fairly inspiring phrase in the midst of junk mail and recruiting advertisements. I can’t remember if I read the email immediately or if I simply used the inspiration from “Emerging Leaders” to complete my application letter. But at some point I opened the email, clicked the link, and read about the fellowship. I wanted in. You see, applying for my first job after residency presented a conundrum. I had been told to be confident, that I was a competitive applicant, even if I was a green young physician just out of residency. But I felt intimidated, naïve, afraid of the unknown. I did not want to give up the safety net of residency. The Emerging Leaders Fellowship presented itself as a perfect bridge between the two. It gave me the language to describe how I felt, no longer a resident, not yet feeling like an attending, but growing somewhere between the two. And it offered an opportunity for guidance and support as I set out on the transition. So I applied. I wrote about how I wanted to work in academic medicine, and needed to learn how to be an inspiring teacher. I wrote that I wanted to be intentional in the habits I develop as I enter my career. I was honest about my fears of being able to be a leader as the youngest colleague in my department. Something striking must have come through my application. Because they said yes. Next thing I know its May and I’m sitting in a conference room at the STFM conference in San Antonio. I am surrounded by Family Medicine’s emerging leaders; some of us in residency, some of us in faculty positions, some of us between the two. I had no idea what to expect. We spent the next two days learning and listening and discussing leadership. Now before eyes roll at seemingly intangible advice on how to be a leader, I have to tell you, this was different. We discussed having vision, and making plans, and inspiring others to move. We were encouraged to dream big and have the confidence to share those dreams. I was excited. When given the charge to find a project and a group to lead over the next year, I was full of ideas. In August, I traveled to Kansas City for our second meeting. I entered a room of friends and colleagues from across the US, no longer the strangers they had been a few months earlier in Texas. The timing was perfect. I had just completed my first few days as an attending physician, and was starting to put my proposed project into action. It was a relief to have the full day to discuss, trouble shoot and encourage one another. I was urged to be intentional about the members I invite to my team, merging the skills I have and the skills I think my team will need. I was given advice on how to maintain my vision while working within a large university system with goals of its own. I was told not to give up. Once again, I left excited and full of ideas. The coming months will be filled with work on my project. There will be regular phone conferences before the fellows meet again in Orlando at the April STFM Annual Conference. There I will get to present the work I’ve done through the year and share what I’ve learned about leading, through both successes and failures. Although I’m not sure exactly how my project will play out in the end (stay tuned for a future blog post on our community service partnership!) I am so thankful for the Emerging Leaders Fellowship. It is helping me start my career with effective habits of leading based on a personal commitment to a vision. I can’t wait to see where this takes me! 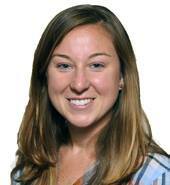 Katherine Hasting, MD, is a recent graduate of the University of Utah Family Medicine Residency Program. She is a new faculty member in the program.